Can be used with Canadian Leopard C1 AND Leopard 2. 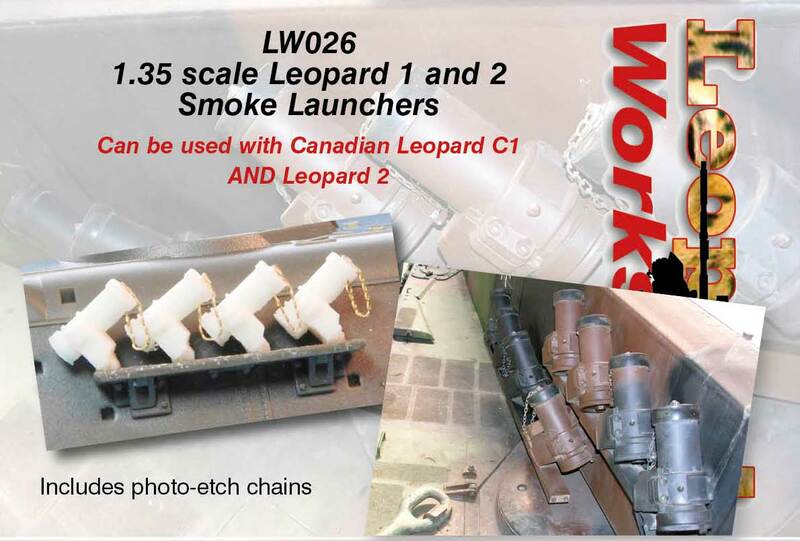 Canadian Leopard C1s and Leopard 2s were equipped with these smoke launchers which had double-bolt clamps over the launch tubes. Although this set is designed for use with Leopard C1 and Leopard 2, it can be used with any German vehicle of the period post-1979. It removes the tedium of cleaning up those fiddly plastic items with their mould seams. The chains are much finer than the ones you find on most general vehicle etch sets. Also, some kit launchers are a little on the skinny side, particularly Meng. 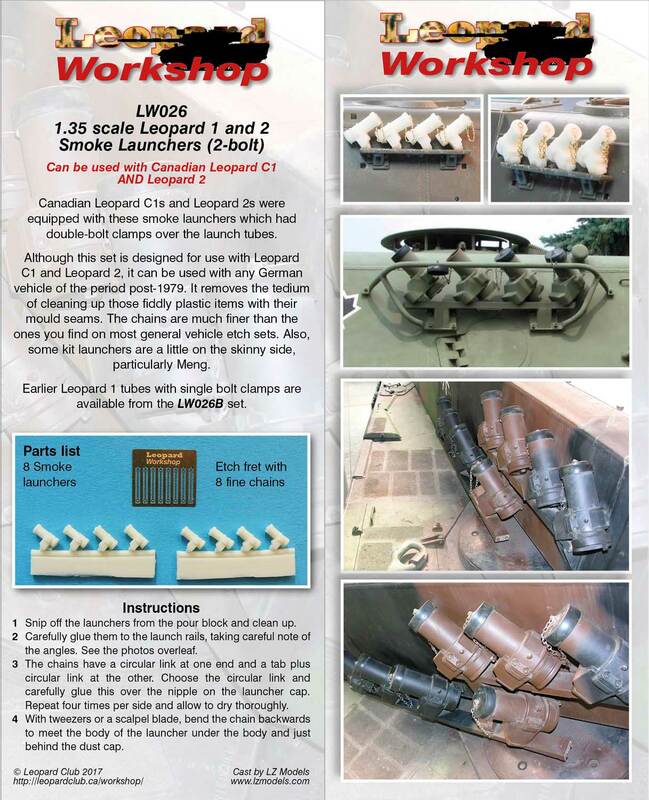 Earlier Leopard 1 tubes with single bolt clamps are available from the LW026B set.